You have a project with a deadline that is fast approaching. You know you should be working hard since your next paycheck depends on it — but you just don’t feel like doing anything. Instead, you find yourself checking your social media, watching videos … everything else except finishing the project. Procrastination is one of the biggest challenges for a freelancer, especially since you’re working both online and at home. It can definitely be hard to stay focused on the task at hand with so many distractions around you. Even worse, you might not feel like you’re procrastinating until it’s too late. A 2-minute video can somehow turn into an hour wasted — which is an hour closer to your deadline. It’s important to realize that there are only so many hours in a day. Unlike an office job where you will still get paid even if you just sit around, procrastinating usually means a loss of income for a freelancer. Furthermore, you will panic and rush things when deadlines start looming, which leads to substandard work and unhappy clients. In the long run, procrastination is a bad habit that will prevent you from achieving success as a freelancer. First, you delay the task at hand — sometimes indefinitely. In the time you spend procrastinating, you could be learning a new design technique, advertising your services… actions that that will help you achieve success. As clients start to pressure you, the stress and guilt will lead you to make bad decisions in your work. In time, you will gain a bad reputation for not delivering work on time, which in turn leads to a loss of clients and business. Everything you’ve built so far will go to waste — just because you didn’t take steps to avoid procrastination. As the saying goes, knowledge is half the battle. Understanding the causes of procrastination will allow you to make a conscious effort to address the issue and nip it in the bud. In many cases, a task might seem too overwhelming, and you put it off in favor of something that is more within your comfort zone. Consequently, you face inertia and precious time would have already been lost when you actually get around to completing the task. Similarly, you will lose track of your tasks if you’re disorganized and don’t have a system in place. We all have a lot of obligations to keep up with — and sometimes they can be too much to bear. It can be hard to think clearly when you’re stressed out, making tasks seem more difficult than they actually are. Your personality can also play a part in procrastination. As a perfectionist, you could always be waiting for the ‘right time’ to do work — which often never comes. On the other hand, low confidence can lead a fear of failure, which causes you to second guess every decision and prevents you from taking action. Lastly, it might seem like you’re doing something, when in fact you’re actually procrastinating. In other words, you take care of everything else, except the one that really needs to get done, in what is referred to as ‘productive’ procrastination. An effective way to avoid procrastination is to have a to-do list prioritizing your tasks for the day, week and month. For a task that is too overwhelming, break it down into smaller and more manageable chunks. Once you have the tasks (and subtask) listed down, set deadlines for each and every one of them so as to create a sense of urgency. With everything laid out, you will be able to get right down to business as soon as the day starts. Be sure to apply the same approach to your projects. In fact, you should have already established a timeline with milestones at the start of the design process. Better yet, use the to-do list or project timeline to visualize what needs to be done beforehand. Visualization prevents your mind from wandering by focusing your attention on the next steps you need to take. Also, you’re less likely to be overwhelmed by a task if you ‘see’ yourself completing it with no problem. Besides visualization, take some time to follow successful people on social media. Their success stories will motivate and inspire you to take action. Similarly, it’s a good idea to build strong relationships with other designers, since they can help encourage you and provide practical advice to avoid procrastination. In order to break procrastination as a habit, you need to establish a set of rules that you follow both consciously and consistently. For better results, consider a carrot-and-stick approach to induce behavior and motivate you to finish the task on time. On one hand, reward yourself for every job well done. On the other, imagine the worse consequences for procrastinating on the task. It can also mean leveraging the more ‘enjoyable’ tasks by withholding them until the less ‘desirable’ ones are completed. Sometimes, it’s better to ‘just do it’. A task might seem overwhelming at first glance, but you might find that it’s not as bad once you actually get down to it. At the same time, the inertia can be hard to overcome (as proven by Sir Isaac Newton). One approach is to dedicate a few minutes to kickstart the task. Once you start doing something, you will find that it’s easier to keep going. If you’re working from home, you might find it hard to avoid all the distractions around you. As such, consider changing your work environment, especially during key projects. A library or co-working space are great choices, since you will surround yourself with productive and like-minded people. Also, be sure to get enough sleep every day; it can be hard to stay focused if you’re low on energy. As for distractions online, there are many handy tools available to help you stay focused, such as SelfControl. Some people even delete or deactivate their social media accounts. It’s an extreme measure, but sometimes sacrifices have to be made in order to achieve success. Always ask yourself whether your choices and decisions are really getting you closer to your goals. Otherwise, you have to learn to say ‘no’ to those obligations. Remember, take care of yourself first before taking care of anyone else. 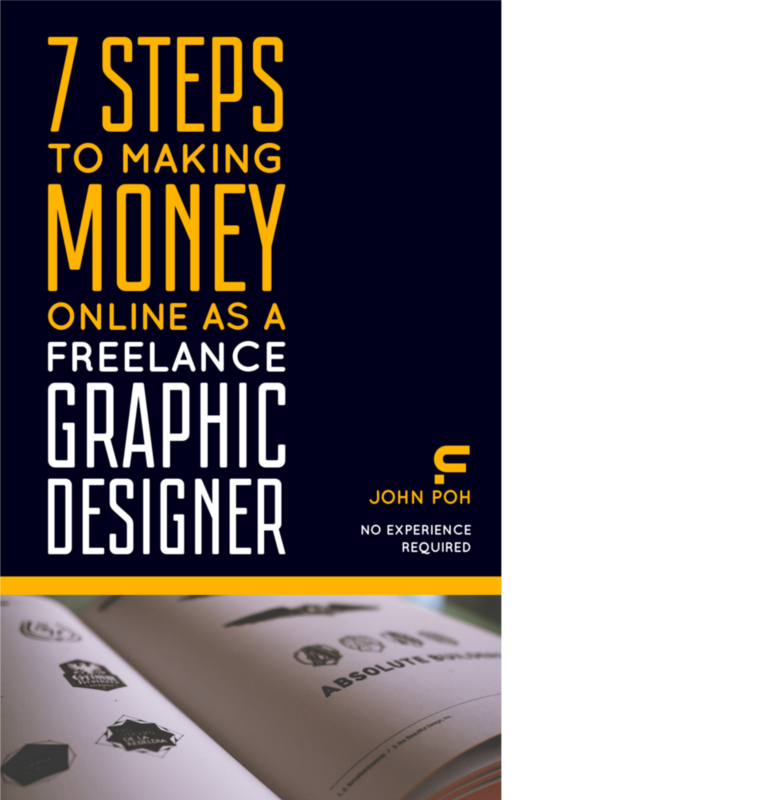 Speaking of goals, think about why you want to be a freelance graphic designer in the first place. If you’re really looking for success, then you shouldn’t be procrastinating at all. Otherwise, perhaps it’s time to re-clarify your goals and decide whether freelancing is really right for you. In the end, the key to avoiding procrastination is to understand why it happens, and consistently take action. By following the tips above, you should be able to better manage your time and outcomes. No one has ever procrastinate their way to success — and you are no exception… so get to work right now!